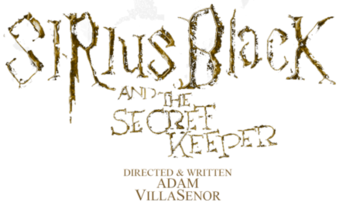 "Sirius Black and the Secret Keeper" is an expansion of JK Rowling's backstory in the Harry Potter Book Series & Universe set during the first wizarding war. "Our aim is to bring an amazing backstory to life focusing on Sirius Black, which has always been my favorite character in JK Rowling's Harry Potter Series. I've read the books and seen the movies like 50 times each. A Harry Potter prequel fan-made series has never been done before. My own journey in bringing the story to life has been pretty insane, from people telling me I am nuts to smacking my head and getting amnesia for 4 months during post production, but this is my tribute to Harry Potter, JK Rowling, and the fans. I hope the fans enjoy, share, and back my own original project. I plan on releasing more episodes and creating a whole story arc." We will be sharing Part One at Ascendio 2012 this year on July 14th! CLICK HERE TO BACK ADAM'S PROJECT & BACK MORE EPISODES!